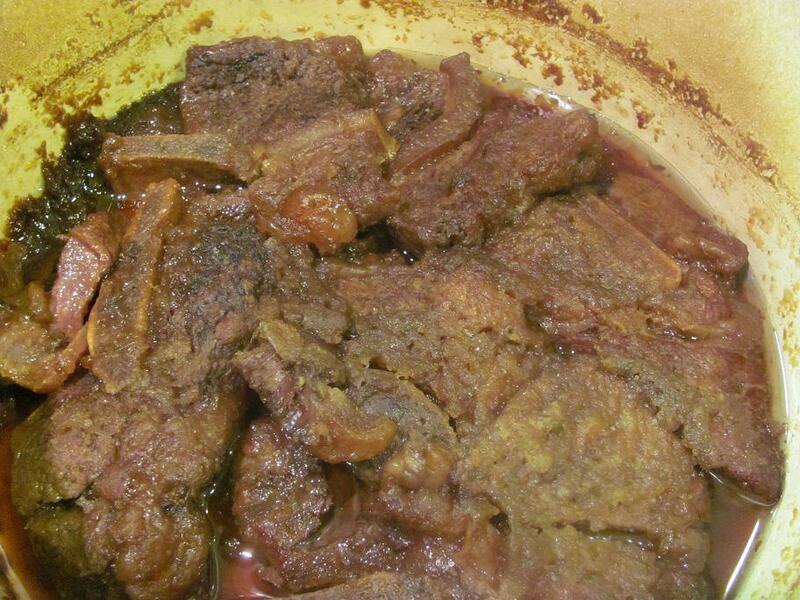 Last week I made one of Marcela Valladolid's recipes for Sweet & Spicy Short Rib Tacos. It was out of this world delicious! I did make a few changes so my little ones would enjoy it. Preheat oven to 350 degrees F. Heat oil in a skillet. Season broth sides of short ribs with salt and pepper and brown in skillet, 3 at a time. Place the browned short ribs into the bottom of a Dutch oven. 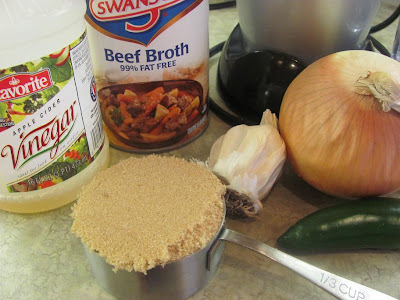 In a blender or food processor, puree beef broth, onion, garlic, brown sugar, jalapeno and vinegar. 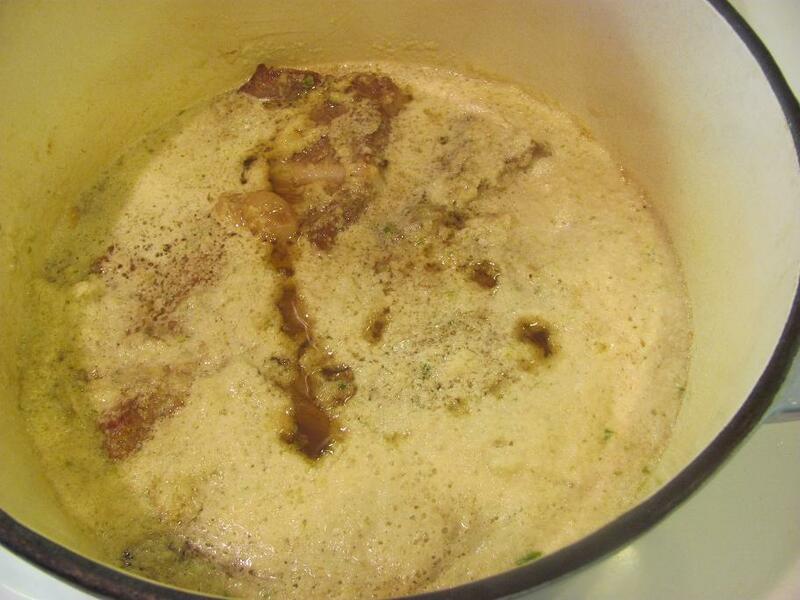 Pour the pureed mixture over the short ribs. Add lid to Dutch oven and bake for 2-1/2 hours. Remove bones and fat from meat and shred the beef. 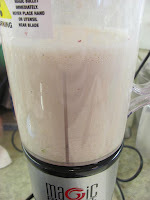 Stir the shredded beef and remaining pureed mixture together; set aside. Heat corn tortillas in cast iron skillet and place in a tin foil pocket to keep warm. 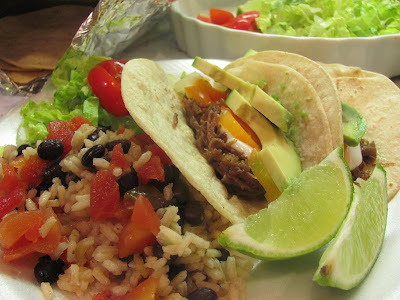 Fix your tacos how you like them and enjoy with Mexican Rice and Beans. 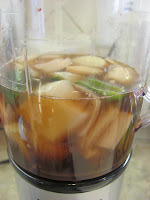 I thought these were a little sweet and will probably reduce the amount brown sugar since I didn't use a spicy pepper. *This was originally done in the crock pot, but I chose to bake it in the oven. 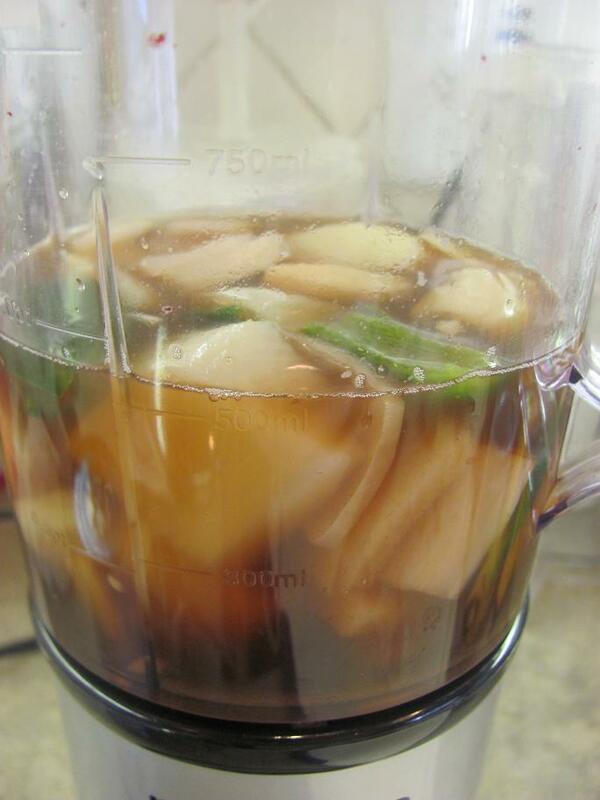 If you want to do this in the slow cooker, cook on high for 4-5 hours or low 6-7 hours. Huh...I guess you can put anything in a taco! Sounds great! thanks for this recipe. i actually have 6 frozen short ribs in the freezer i had picked up just because it was clearanced going out of date. This looks like a yummy way to use them! Looks delicious, I love cooking ribs like that. Looks good and this a very creative use for the ribs! 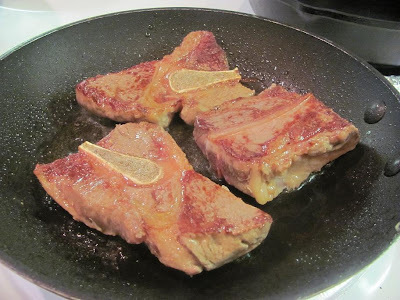 What a great way to use short ribs! I love anything with a taco and the hotter the better. Thanks for sharing with the Hearth and Soul hop. Mmmm... Yes! I will take two please. Yum. My favorite carb of choice these days is a tortilla.